Take part in the European survey on the Sustainable Development Goals! Since the adoption in 2015 of the United Nations’ 2030 Agenda for Sustainable Development and of the 17 Sustainable Development Goals (SDGs), the 193 signatory countries are expected to report regularly on the implementation of this universal agenda, which covers all policies and requires the involvement of all stakeholders. Regional and local authorities are essential partners in this implementation process, not only because a large majority of SDGs (65% according to the OECD) directly involve/affect them, but also because many of them have already successfully engaged in localising SDGs. 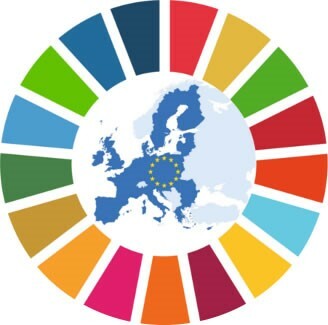 With feedback from local and regional authorities on their work on SDGs, the European Committee of the Regions wants to showcase how you have implemented, or currently are implementing, SDGs. This information will be used to influence a future EU strategy on SDGs, to better advocate for a territorial approach in the European and national policy-making process and to boost actions of implementation. Your views on what should the EU do on SDGs, on the priorities the EU should have to act on SDGs will also feed in our opinion on a Sustainable Europe by 2030 to be elaborated during the course of 2019.
sharing best practice and lessons from international experience. Can future be smart for European rural, mountainous and sparsely populated areas?